If you got your tracker from the roadshow, they would have help you pair your tracker to your profile liao. You won't need to pair it again. Do remember to do a profile restoration before syncing if you have just downloaded the 365 app. And also, apart from bluetooth, do turn on your location on your smartphone also. I kena once before also, don't know what's wrong. Once paired liao will be stuck to my account? Coz tried passing to my mom but when she tried pairing it indicates "tracker registered to an account" and rejects pairing. Even if they didn't pair it for you at the roadshow, it is still tied to your IC and cannot be paired with another account. It is not transferable. Already asked. nonsense...its clearly a software glitch and tracker sync issue. 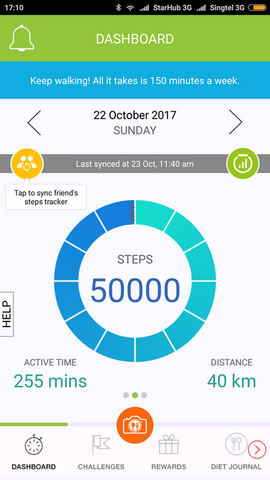 Once pair, the tracker will be tied to your profile on the 365 app. So you can't just pass it to your mom to pair again since the tracker won't allow pairing with different profile. No, the tracker is already paired to your ic number at the point of registration. Even if you don't pair with the app on the spot, you can't pair it with another 365 account later. I know, coz i told them not to pair for me and I could do it at home. I collected on behalf of someone who didn't need a tracker and attempted to pair with my account and failed. Even if you tell them not to pair it, they will still do it at the point of registration when they help you create your profile. That the only way to prevent people from selling it and help them to keep track of which tracker is tied to which ic number in their database. Ic.......then gotta get my mom to go get her replacement piece since her old one was broken. Nonsense. I mentioned earlier already. I said i didn't need them to pair with my app coz i can do it myself at home and they obliged. Mac address already tied to the ic number mean it's already been paired. How to change the time?